The company that creates inspiring communication products, novero, released two new universal car-kits designed to bring a high quality audio-based and convenient hands-free driving to consumers at a good price. The two car kits are designed with the premium construction of novero, and are now available around the nation in more than 700 stores. 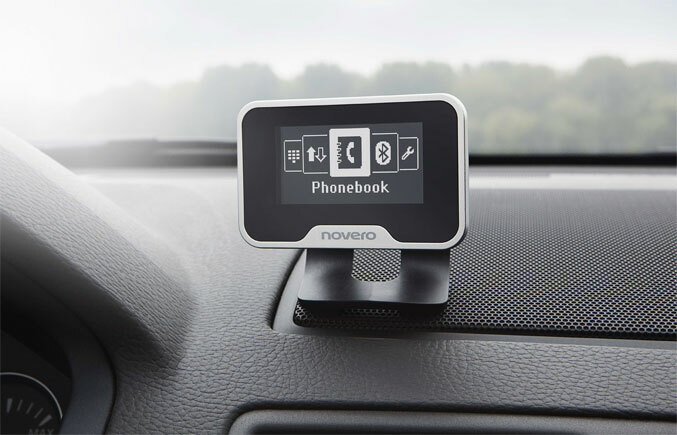 The two car-kits by novero are also designed with simplicity and ease of use in mind, featuring voice-dialing and SMS and email controlled by voice. The sound is routed through the speakers of the car in order to deliver echo cancellation, noise reduction and even adjustable microphone. Drivers can adjust the volume and mute the microphone manually, while talking on the phone. Music can also be streamed directly from your phone or bluetooth enabled players. Novero’s car-kits come equipped with a sleek remote control, designed to manage the feature set without taking the eyes of the drives from the road. The mounted display screen allows the consumer to control the actual car kit throughout a menu with smooth icons and text. TheTrulyOne is now available for the price of $159, while TheTrustyOne is available for the price of $119 at automotive aftermarket accessory stores.